Everything in marketing revolves around the client, and they’re driving changes. After years of headlines about consultancies eating ad agencies’ lunches, the two groups are increasingly starting to look alike. Since everything in marketing revolves around the client, it shouldn’t come as a surprise that they’re driving these changes. Faced with new challenges in a rapidly evolving marketplace, clients are demanding a wider range of services in an attempt to adapt. As a result, consultancies are building up creative capabilities through acquisition and internal development, and traditional agencies are attempting to offer more consultative services. New entities are focusing on a hybrid approach. DDG president Justin Tobin explained that his boutique consultancy emerged from his experience as head of global digital strategy for American Express from 2004 to 2009. Tobin described a visualization of recent changes in the marketplace. 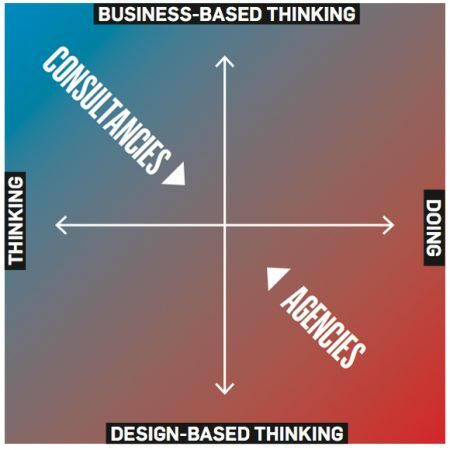 On a vertical axis sits “design-based thinking” at the bottom and “business-based thinking” on the top. The horizontal axis contains “thinking” on the left side and “doing” on the right. 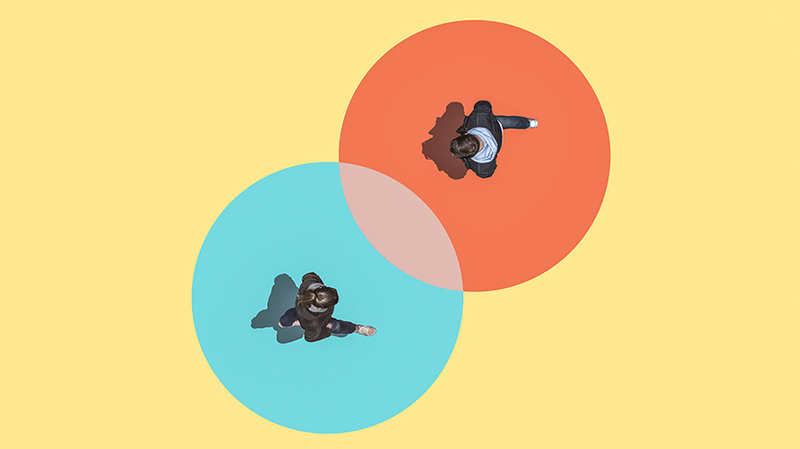 Traditionally, consultancies occupy the top-left corner, providing corporate strategy, while agencies occupy the bottom-right, providing design-based execution. Tobin said there’s a need for companies that are trying to transform at the center of that graph, and it’s that center between traditionally consultative and creative services where agencies and consultancies are rushing to gain ground. “Anyone who doesn’t recognize the need for the confluence of those things on the part of the client has their head in the sand,” Tobin added. In Venice Beach, Calif., former David&Goliath executives launched Wolfgang in December 2016 as a creative consultancy and agency. After Panda Express named Wolfgang as agency of record, president Seema Miller said its model was resonating with clients. TrueCar initially hired Wolfgang to consult on strategy, but it brought Wolfgang back to apply its initial strategic thinking to define a unified brand strategy, which evolved into a creative partnership. “Wolfgang’s consultancy-agency model has allowed them to be extremely nimble and flexible in working with our in-house team,” TrueCar chief brand officer Lucas Donat said when the company selected Wolfgang to handle a rebranding assignment. While Wolfgang is collaborating with TrueCar on the creative campaign, CCO Colin Jeffery explained that Wolfgang would have been open to handing things off to TrueCar’s internal creative team. “What we want to do is be genuinely useful to clients and if that is coming up with an idea and handing it off to them, then that’s what we want to do,” Miller added. Wolfgang is also working with a startup in the travel/hotel space, helping to build the brand up from its inception, which Jeffery said was a unique relationship for them. 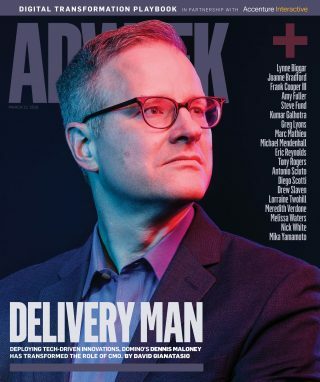 Facebook’s Harris explained that evolving client demand for different capabilities “is forcing, in many instances, consulting firms, agencies and companies all coming to the table at the same time” to ensure such clients derive maximum value from their partners.